There are many people out there who have had some very strange Ouija board experiences. Below, you'll find several examples. It is interesting to note that while some people have negative experiences, other people have some that are positive. The issue regarding whether Ouija boards represent a positive force or a negative force is a debate that has lasted for many years. 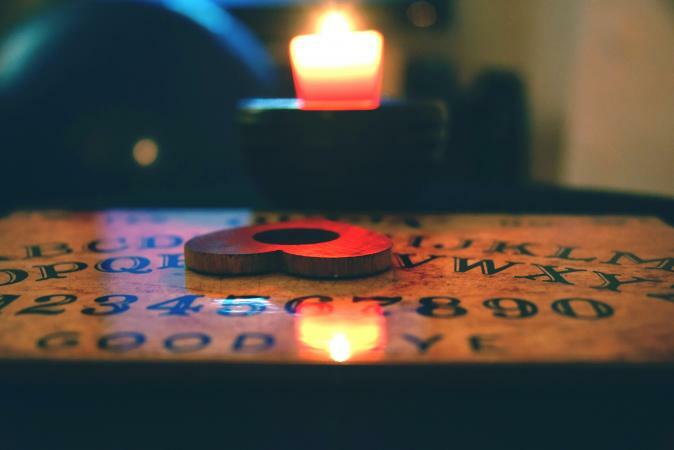 On the one side, many people believe that Ouija boards serve as a portal or gateway for evil and manipulative forces that seek to negatively influence your life. On the other side, there are people who believe that the Ouija board only serves as a portal to your own psychic abilities and that without your own influence, the board itself has no power. In other words, the board isn't doing the "magic," you are. There are numerous negative and even "demonic" experiences that support the case for the board serving as a tool for evil forces that seek to influence this world. The following are a few prime examples. GhostResearch.org presents a fascinating excerpt from the National Examiner where Robert Stamper told his own story. When he was younger, Robert and his brother experimented with the Ouija board and came in contact with an entity called "Seth". Over the course of the Ouija board experimentation, they asked for supernatural proof that it was real. According to the story, the Ouija board correctly predicted a death a week in the future, it made the house tremor and caused a terrible stench to fill the air. Robert reports that even after getting rid of the Ouija board, the strange tremors would return and a "stench of death" would fill the house. Another story from GhostResearch.org comes from a woman named Pam Frost who tells the story about returning home to a mother who had become obsessed with the Ouija board. According to the story, Pam woke up one night to the sound of a party going on downstairs. As she peeked around the corner, she was shocked by the image of her mother sitting in front of the Ouija board that was moving all by itself, and the voices of different people were coming from her mother. Things in the home became so bad that Pam had to move out of the house. This story is told from the unique perspective of a child and parallels the stories of many parents who suffer from addictions of one kind or another. Destination America retells the story of a Reddit user Regnistel. The teenager writes about his frightening experience after having his friend break out her Ouija board. When she refused to participate, he decided to use the board by himself. After some time of using the board with no results, in a typical teenage fashion, he proclaimed that any spirit there but refusing to answer his questions was a coward. He quit and went home, but writes that a week later, he was awakened by a powerful thunderstorm. He lay listening to the thunder and rain, trying to go back to sleep when he heard a voice coming from downstairs whisper, "Get the boy!". The voice was raspy, and he heard it repeat, "Get the boy!" The second time the voice was louder and followed by the slamming of a downstairs door. With no one downstairs and no drafts to cause the door to slam, he was truly freaked out. On the other side of the debate, a fair number of personal experiences support the theory that the best Ouija board is either a portal into your own subconscious or psychic abilities, or a temporal doorway to communicate with spirits of people who have passed away. While it is true that some positive Ouija board experiences exist, they are much more difficult to find than the negative ones. A story from 2006 tells about a woman who received an Ouija board as a gift from her mother when she was a young child. The night before the family was going to head out on a trip to visit her grandparents, they used the board. During the session, the young girl asked the board whether they should leave the house at 10 a.m. as planned. The Ouija board responded by warning the girl and her mother that they should not leave at that time because there would be an accident with a semi caused by a blown tire. The next morning, the family decided to leave five minutes after 10 a.m., and sure enough they just barely avoided an accident when their front tire blew out. Had they been there only a few minutes earlier, they wouldn't have survived. One of the best Ouija board stories with a happy ending is found on Thought Catalog and written by Chrissy Stockton. The story is about a teenage girl and a spirit named Max that came through the Ouija board during a sleepover. The girl tired of the Ouija board and along with a couple of other girls retired to another room to conduct tarot readings. Things turned odd when the girls in the other room called out to her saying a spirit named Max was asking about her. It wasn't until Max started revealing secrets about her, such as being abused that she asked her friends to stop. It was a year later when the board was brought out again while she was in the kitchen baking a cake with another girl who had been present the sleepover. The girls in the other room called out to her asking who Max was. 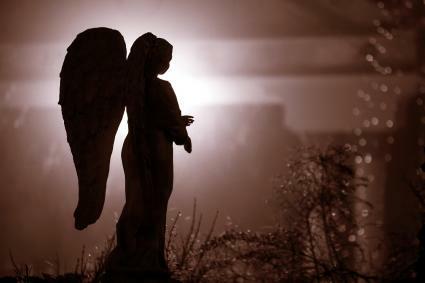 She tells how Max is a regular spirit that seems to always be around and a type of self-appointed guardian angel. She claims that he saved her life when he called out her name just as she was about to step into the path of a car and she stopped to turn around. Even if either side of the debate is correct, there is good reason to remain cautious when using such a tool or object with unknown properties. Considering both sides of the argument, there is a lot that is not understood about human psychology and the real nature and power of the subconscious mind. On the flip side, there is also a great deal that remains a mystery about the spiritual level of existence. Therefore, regardless of what answer lies behind the source of information that comes from the Ouija board, the truth is that it remains an object with unknown properties. Carelessly handling such an object would be like a small child handling a loaded gun without understanding the possible consequences. For this reason, it's important to proceed both psychologically and spiritually with caution when laying your fingertips upon this mysterious board.